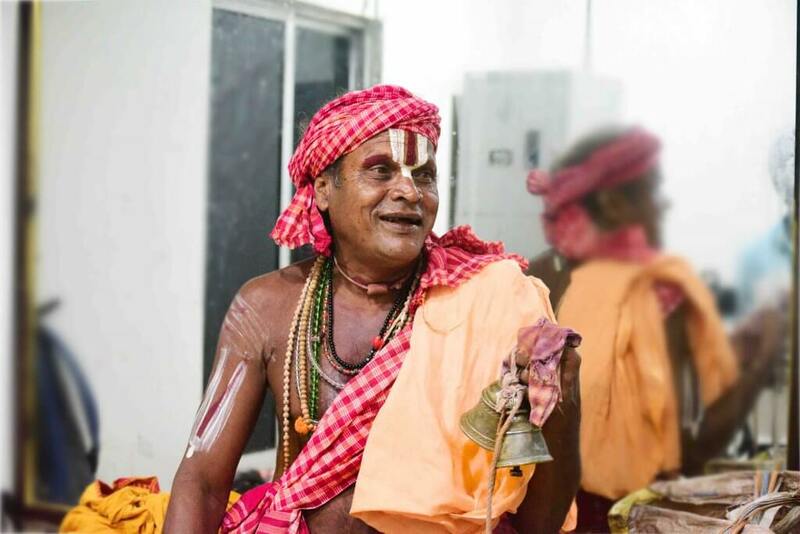 Janughantia are a class of wandering mendicants who enact Vishnu’s Parsurama avatara. They earn their peculiar name from the bell (ghanta) that they tie onto the thigh (janu) in imitation of Parsurama. Thus the jingling of these huge bells announces the arrival of the janughantia in Odisha’s villages. Cover : Traditional janughantia Golaka Das shows his heirloom bells. The narrative is the argument between Rama and Parsurama, from the Ramayana. When Rama breaks Shiva’s bow to marry Sita, he is challenged into a duel by Parsurama, who is a disciple of Shiva. Rama gently enquires Parsurama to introduce himself, upon which the furious sage tells the story of how he vanquished all the warriors on the earth to avenge his father’s death and to put an end to kingly exploitation. “I can chop you to pieces with my axe right now, but I exercise restraint because you are a kid“, he says, seething with rage. Apart from the dialogue, traditional artistes fling their axes many feet high into the sky and catch them again without even looking up. The form is an eclectic mix of austerity and ferocity. Janughantias are revered by the society and it is said that any wish one asks of after listening to the jingle of the bells will be fulfilled. They lead humble lives as vaishnavas, abstaining from extravagance. 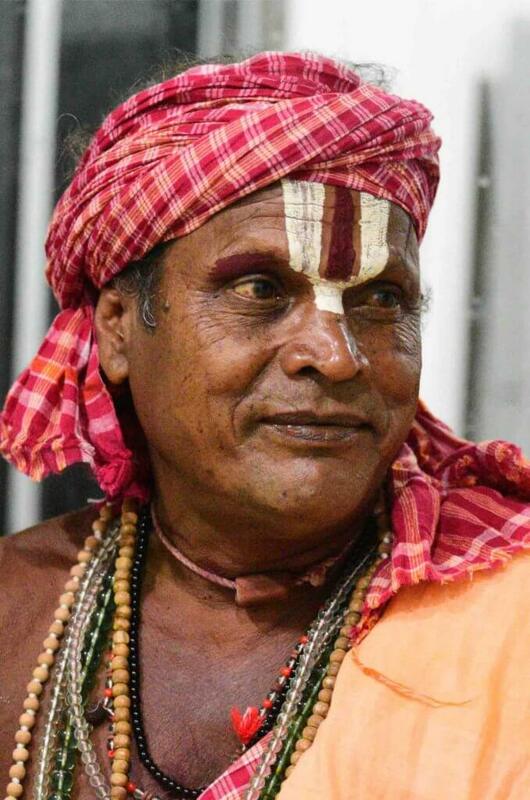 I once had a chance to meet the very kind Sri Golaka Das, who is a traditional janughantia. Debendra Pattanayak sir and me interviewed him and asked him to demonstrate a few songs. He did so graciously and we shot what we could to make this video. Hailing from a family of traditional janughantias, Sri Golaka Das learnt the art from his father and uncle. He has cultivated the art since the last five decades and has hundreds of followers across Ganjam. He is one of the last of the veteran masters of the form.